Teachers tell us Embody Learning changes their teaching permanently. 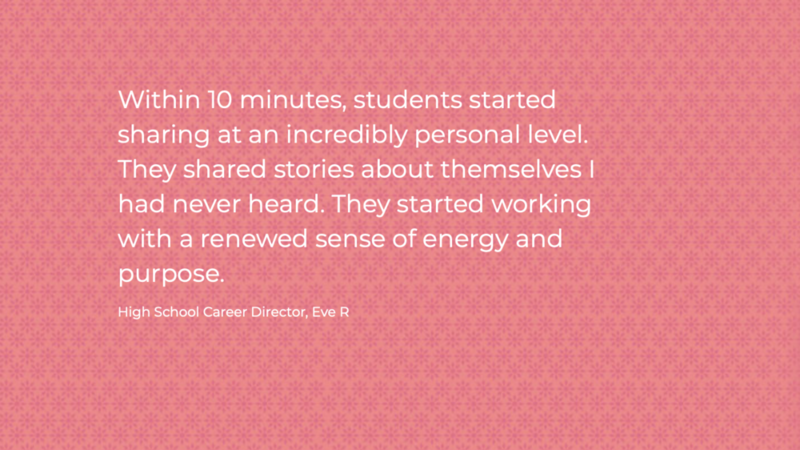 Qualitative data confirms teachers use the model and students love it. Our quantitative data has measured increased scores in math, reading, science and social studies. Student engagement is a teacher’s mission... obligation, really. If children are going to learn, they must be engaged in the learning experiences (lessons) that teachers facilitate every day. Embody Learning is a tool for teachers plan and initiate active learning experiences... in any subject at every grade level. It’s whole-student engagement: intellectually, physically, emotionally and socially. The ENGAGE - EXPLORE - SHOW model overlays any lesson template to ensure students own their learning experience and have the opportunity to bring their curiosity and creativity to the process of exploring knowledge. Our goal is to ensure that none of your students are bored, none of your lessons fail to engage. 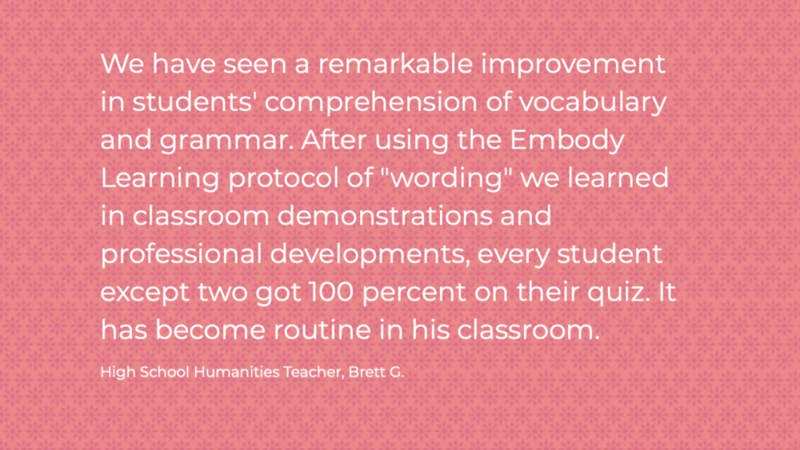 Embody Learning strategies are designed to help you make content relevant to students. You get to decide how to adapt the strategies and methods to your teaching style and to your students learning requirements. At the same time, Embody Learning urges you out of your comfort zone and into a world of new learning opportunities. Through this website, materials and videos, the Student Engagement Guide, webinars and training events, and the In Your Classroom App, Teachers can continually grow their classroom practice to engage students in the daily joy of learning.